British Columbia, Canada, is a four season playground and has a lot to offer in the winter - both cozy indoor getaways and outdoor recreation. BC offers some of the best downhill ski hills in the world, miles of ski trails, snowmobile trails, cross-country skiing trails, dog sledding, sleigh rides, snow shoeing, ice fishing and more. In British Columbia, wintertime is fun time! Check the Plan a Vacation page for some great winter vacation ideas in British Columbia, Canada. 400 kilometers north of Vancouver and 350 km northwest of Kelowna lies the 12,600,000-hectare Cariboo Chilcotin Coast - a bold and beautiful country. Easily accessible by car, train and plane, the region has thick forests and jagged mountains, expansive ice fields; valleys lined with 8,000 lakes and 17,000 km of rivers and streams, more than any other region in B.C. Imagine snowmobiling or cross-country skiing through powder snow and forests sparkling with ice. Snowshoe into the silent woods. Ice fish for wild rainbow trout. Experience the thrill of dogsledding across a frozen lake, as the peaks of the Cariboo Mountains emerge from behind low hills. The Cariboo Chilcotin Coast is renowned for its winter activities - there is hardly a community that does not offer excellent amenities and surrounding trails. In short, it’s a place where you can pursue outdoor sports and activities during the day, and recharge yourself among magnificent surroundings at night. There’s no better time than winter to escape cabin fever and the everyday grind. Head to the Cariboo Chilcotin Coast, undeniably one of nature’s all time winter playgrounds. Whether it is alpine skiing, cross-country skiing, snowmobiling, cat or Heli-skiing you are seeking, the BC Rockies region, which includes the Kootenays, abounds in winter activities. Conditions permitting, most resorts open in early December each year. Located close to the border and known for their incredible powder snow, resorts near Nelson and Rossland offer multiple groomed runs, deep bowls and glades, chutes and backcountry terrain. In Fernie and Kimberley, where the ski areas are right in the town’s backyard, you can stay on the mountain or downtown. The powder at Fernie is second to none and the bowl skiing is world-famous. Kimberley is nestled in the Purcell Mountain range and offers a variety of terrain for all types of skiers and has a fun, family atmosphere. 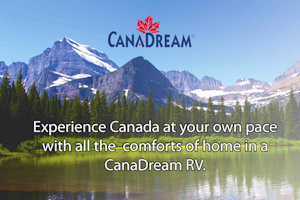 Both have a variety of on-hill accommodations to choose from. A little north of the town of Invermere is Panorama Mountain Village. Offering a true mountain village with ski to your door accommodation and amenities. North, at Golden, you will find resort developments that offer some of the highest verticals in North America, bowl after bowl of incredible skiing, and a gondola ride to a mountaintop restaurant. Also in the region are numerous natural hot springs, including Radium Hot Springs, Fairmont Hot Springs, Halcyon Hot Springs, Ainsworth Hot Springs, Nakusp Hot Springs and Canyon Hot Springs, where you can relax in the hot mineral pools and, at many, enjoy luxury resort amenities. This is a region that’s rich in natural beauty and recreational opportunities. Famous as a summer destination, the Thompson Okanagan is also a magical outdoor world in the winter. Whether you’re exploring the wilderness by snowmobile or on cross country skis, the Thompson Okanagan is an perfect mid-winter escape! The many communities are ready to serve you with hospitality and a wide range of services. The Thompson Okanagan Region provides visitors with a broad choice in accommodations and services. From luxury beach resorts to first class ski hills and lodges, there’s a place to stay that’s just to your liking. And there’s always lots to do; downhill skiing, cross country skiing, snowboarding, snowmobiling, ice fishing, apres ski activities, a vibrant nightlife, shopping & more. And be sure to taste some of the wines that have made the region famous! Located approximately 50km north of Kamloops, Sun Peaks Resort community offers year-round activities for all ages, making it an excellent vacation spot. Three mountains and 3,678 acres of skiable terrain are centred around a picturesque, ski through village of charming walkways, shopping, spas, and high quality condos, hotels, chalets, and town homes. Dining options include cafes, fine dining, family friendly restaurants, and pubs. Nancy Greene's Cahilty Lodge provides the ideal slope side ski-in/ski-out location in Sun Peaks. The lodge features 191 rooms ranging from cozy and traditional lodge rooms to spacious 2 and 3-bedroom suites in the heart of North Thompson's Sun Peaks Resort community. Located 20 minutes from Kamloops is Harper Mountain, which features down hill skiing,night skiing/riding, cross country trails and snowboarding. On the hill is a day lodge, restaurant, ski shop, rentals and lessons. Cosmopolitan Greater Vancouver, is not only one of the top cities in the world to visit, but the surrounding mountains offer unparalelled winter recreational activities. Expert guides can open up a new white world of glaciers, waterfalls and alpine bowls while providing day and night rides. Three ski hills are within a half an hour drive from Vancouver. Once up on the mountains you are able to admire the mountains, ocean and city below. Famous as the host of the 2010 Olympics, Whistler and Blackcomb, in the Coast Mountains, is only 100km (60m) from Vancouver and one of the very best four seasons destinations in North America. Rising up 1,609m (5,280ft) from the valley, the two mountains offer more than 7,000 acres of spectacular mountain terrain for skiers, snowboarders, bikers, hikers and sight seers. Cypress Bowl is located 12 km (7.5 miles) off of the Trans Canada Highway #1 in West Vancouver. Night skiing, snowboarding, extensive cross-country ski trails, a day lodge, ski school, ski shop and rentals, restaurants and pubs are just some of the hill’s attractions. Season: late November to late April. Hemlock Valley, near Agassiz in the Fraser Valley offers visitor services such as night skiing, cross country ski trails, snowboarding facilities, a ski shop and rentals, a ski school, day care, on-mountain accommodation, hot tub/jacuzzi/sauna, restaurants and pubs. Manning Park Resort, 68km (42mi) from Hope, offers services such as snowboarding, cross country ski trails, a ski shop and rentals, a ski school, day care, a daylodge, restaurants and pubs, a grocery store, conference rooms and near-mountain accommodation. Season: late November to early April. Mount Seymour in North Vancouver offers visitors snowboarding, night skiing facilities, a day lodge, a ski school, day care, a snowshoeing program, restaurants and pubs. Season: late November to April. Victoria & the Gulf Islands have the mildest winter climate in Canada, but the higher elevations are rewarded with an abundance of snow. While golfers are teeing off on the year-round courses at lower elevations and island visitors are strolling the beaches, others are strapping on their skis and snowboards and heading for the snow at Mt. Washington or Mt. Cain. Every year, from December to April, the Island’s ski slopes bustle with activity as skiers and snowboarders reap the benefits of the Island’s excellent ski facilities and record snowfalls. Mt. Washington Alpine Resort, above Courtenay and the Comox Valley, is the biggest ski area on Vancouver Island, flaunting the deepest all-natural snow base in Canada. With the Pacific Ocean as a backdrop on one side and scenic Strathcona Park bordering the other, this world-class ski resort offers a wide choice of winter activities including skiing, snowboarding, 2 terrain parks, cross-country, biathlon, night skiing, snow tubing, ski schools, children’s programs, day care facilities, a progressive snow school and instructor training programs. Skiers and snowboarders will enjoy over 81 alpine trails accessed by 9 lifts or carpets, while Nordic sport enthusiasts have access to 55kms of scenic cross-country trails and a world class Nordic Centre that was home to international Olympic teams as they acclimatized and prepared for the 2010 Olympics. Mt. Washington is accessible via the Strathcona Parkway off Hwy. 19. Accommodation is available at the resort, as well as in Courtenay and Campbell River. Mount Cain, situated on the north end of Vancouver Island, offers a unique experience to skiers, snowboarders and backcountry skiers. At Mount Cain you'll find deep powder, 21 runs, with 1499 vertical feet of terrain. Mt. Cain has few line-ups and the welcoming atmosphere of a family oriented mountain. Mount Cain has the highest base elevation of any coastal ski hill in BC, Alaska and Washington State. Our peak elevation is second only to Whistler. Mount Cain is about 75 km NW of Sayward (roughly half-way between Campbell River and Port McNeill). Mount Cain is easily accessed from Highway 19 and is located 8 km south of the Woss turnoff. It's a 16 kilometer drive on a gravel road from the Highway 19 turnoff to the lodge. The road is regularly maintained by the mountain's maintenance department. Stormwatching is another popular winter activity, in costal communities like Tofino and Ucluelet, where visitors relax in worldclass ocean front resorts and watch nature's spectacular display as huge waves break in along the west coast. Beachcombing, fine dining, bubbling hot tubs and superb hospitality make for a great winter escape. Breathtaking vertical drops and fresh powder make Northern BC a fantastic destination for skiing, snowboarding and other winter activities. Northern BC Ski Resorts offer uncrowded slopes, sweeping mountain vistas and tree-lined runs. Hudson Bay Mountain is a ski area just outside of Smithers, on the west side of the city. Offering the driest powder conditions in the country, Hudson Bay Mountain is the largest ski area in northwestern British Columbia and does not experience the rain-outs common in more coastal resorts. The ski area offers 36 runs and 4 lifts, including a trail that takes you right into town - giving Hudson Bay Mountain a continuous big mountain verticle of 3,775 ft (1,750 ft, lift accessed). The average season is from November to Mid April. Powder King is a ski resort north of Prince George in the Pine Pass, which traverses the Hart Ranges of the Northern Rockies in northern British Columbia, Canada along Highway 97. The resort consists of a triple chair that runs from the base to halfway up the mountain and a T-bar that carries skiers from there to the top of the runs. Anyone wishing to reach the peak has to hike from the top of the T-bar. There is a lodge with rental facilities, a cafeteria and restaurant as well as 60 room hostel for overnight stays. Shames Mountain Ski Area is a ski resort located 35 km (22 mi) west of the city of Terrace, British Columbia, Canada. The area's vertical drop is 488 m (1600') with a summit elevation of 1189 m (3900'), with one surface lift and one double chair. Annual snowfall at the summit is 1200 cm (475 inches). Of course, Northern BC offers many other outdoor winter activities, including snowmobiling and heli-skiing adventure into the backcountry, and ice fishing, snowshoeing, dogsledding or cross-country skiing.